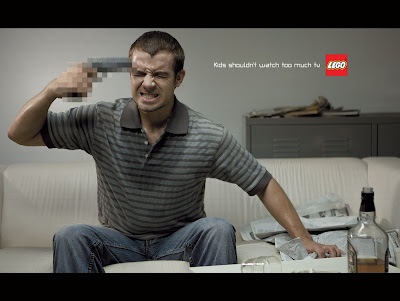 We can’t confirm if this is a brandjacking or actual creative by DBB, but if this really played out, Lego is showing balls. Imagine isolating a media buy to reach only parents in certain magazines that children wouldn’t be exposed to (cause kids would freak out seeing this) to play upon the guilt parents have in using television as a babysitter for their children. It’s enough to make them turn off the tube and get down on the floor to play a game with the little guys. Say, Lego. The image above shows 2.5 million missed opportunities. That’s the number of Twitter users the U.S. Democratic party conceivably won’t be able to communicate to tonight, because the DNC failed to secure its Twitter moniker (www.twitter.com/dnc). Now, tonight with Obama talking in front of all of Colorado in a stadium, with a young demo trying to tune in with multimedia, the DNC is hamstrung by a clever Twitter squatter. The RNC has no such trouble, and we’re sure they’ll be lobbing lots of chatter. We signed up to follow @RNC today because we know, whether we agree or not, the Twitter feed will be riveting. Don’t laugh; your business is next. Most businesses don’t have a plan for monitoring, or using, emerging media. Just as smart brands look for competitors with similar products on the horizon, smart marketers need to follow new channels and jump in … before you lose the chance.